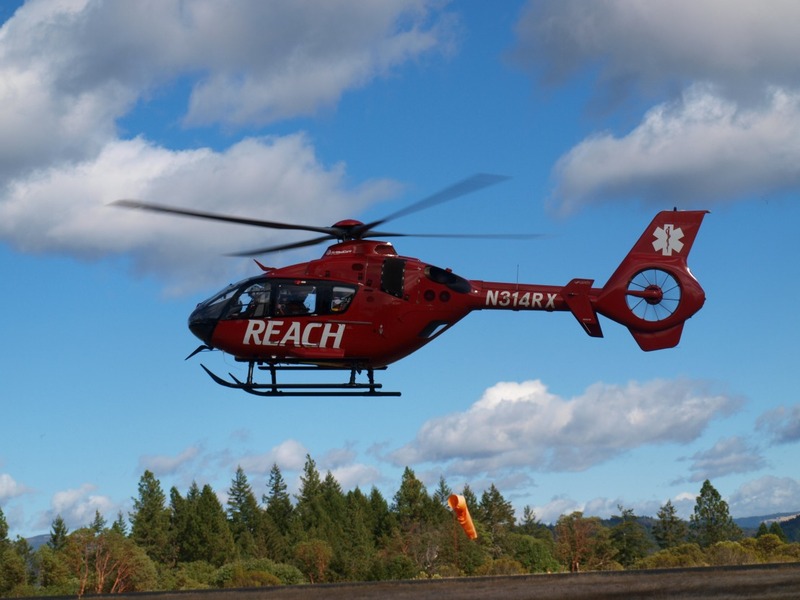 This is how Flight Nurse JohnRey Hassan described what it’s like to work at REACH 18 in Willits, California, an air ambulance base located in the heart of Mendocino County. Due to its remoteness, REACH 18 has quickly become a lifeline for the entire north coast region. With a variety of calls coming in each day, it is a very rare thing for this crew to be left feeling surprised. However, early one afternoon, REACH 18 Program Manager, Jeff Cress received a desperate phone call from an intensive care unit physician who was facing a rather large predicament. “When I answered the call, Chris immediately said ‘Hey, I really need your help. I have a really unusual request,” said Jeff. Christopher Voscopoulos, a physician at St. Helena Hospital, quickly explained to Jeff that he had a patient who was suffering from an abdominal aneurysm and required emergency surgery. The problem was that their closest vascular surgeon was located at Ukiah Valley Medical Center, nearly two hours away by car. Without a second thought, Jeff set a plan in motion. 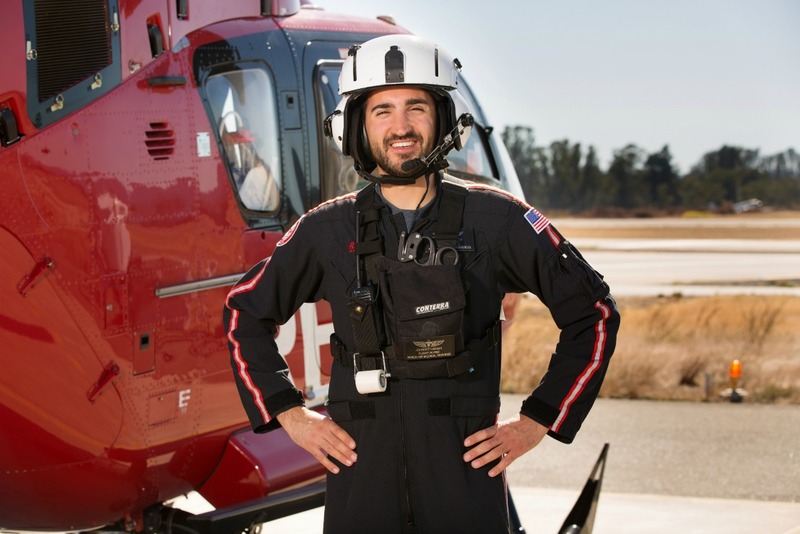 He told Christopher to notify the surgeon that a REACH helicopter would be picking him up on the helipad at Ukiah Valley Medical Center. Next, he called the crew at REACH 18 in Willits to see if they would be able to complete the transport. On duty, that day was Pilot Andrea Sacchetti, Flight Nurse JohnRey Hassan, and Flight Nurse Melody Winslow. Andrea was the one who picked up the call from Jeff. After talking it over with her crewmates, Andrea soon realized that despite the transport being unusual, the reasoning behind the flight was not out of the ordinary. In fact, it aligned perfectly with REACH’s 30-year mission to always do what is right for the patient. REACH 18 coming in for landing at the base in Willits, California. While the crew began their pre-flight preparations, Jeff Cress placed a call into Flight Guard, REACH’s 24-hour communications center, to finalize the transport details and dispatch the aircraft. While the call was just part of another day at work for Communications Specialist Brianne Olson, the request was definitely one rarely encountered by Flight Guard. With their pre-flight preparations complete and an official dispatch from Flight Guard, Andrea, JohnRey, and Melody headed out to the helipad to board the aircraft. As they were preparing to lift off, an odd sensation came over both Melody and JohnRey. The flight from the base to the hospital in Ukiah took only a few minutes. When Andrea had the aircraft safely shut down on the helipad, JohnRey and Melody headed inside to give the surgeon a safety briefing before escorting him out to the aircraft. A short while later, Andrea was making her final approach onto the helipad at St. Helena Hospital. After touching down, JohnRey and Melody escorted the surgeon inside where a team was standing by waiting to take the patient into the operating room.